Should We Ask College Swim Coaches for a Pre-Read? While it’s advisable to cast a wide net when first researching college swim programs, swimmers need to narrow down their list of target schools before going on official visits or committing to a program. Sometimes this is hard to do as the swimmer isn’t sure if he will be admitted to a school academically or if his family can afford the cost of attendance. Coaches will try to assess whether or not the prospect is likely to be admitted as they don’t want to spend their time or recruiting budget on a swimmer who won’t be admitted. It’s common for coaches to ask recruits about their grades and SAT/ACT test scores in early conversations via email or phone. Some schools offer an Academic Pre-Read. It tends to be the more competitive schools – admissions-wise – that do this but that’s not always the case. Basically, the coach submits a prospective athlete’s academic information like GPA and test scores to the Admissions Department to see if the student is likely to be admitted. Some schools will guarantee admission after a Pre-Read and others will say admission is “likely”. In that case, your child will need to have a frank discussion with the coach to determine how likely. Most coaches have been around long enough that they can predict the likelihood of an offer of admission being extended. A coach is often limited in the number of Academic Pre-Reads he can request so he will usually only request one if he is assured that his program is at, or near, the top of a swimmer’s list. It’s important for your swimmer to show interest and let a coach know if a program is high on his list. Asking about scholarships is awkward and some coaches prefer to discuss it after an official recruiting visit. However, there is no point in your swimmer wasting an official visit on a school the family cannot afford. Keep in mind that there are many different types of scholarships other than athletic, including academic awards, merit awards, and need-based financial aid so a limited number of swimming scholarships doesn’t always mean that the school isn’t affordable. At some schools, the coach can submit your family’s financial information and request a Financial Aid Pre-Read. The Financial Aid Office will calculate an estimate of how much the student is likely to receive in terms of scholarships, grants, and need-based aid. Not all schools will do this and it is usually only done for prospective athletes that are very serious about a program. In some cases, the coach won’t coordinate this until after an official visit has occurred and the school has made an offer to the swimmer. Most coaches are only granted a couple of these per year, so they can’t risk using one on a swimmer who isn’t extremely likely to attend a school. It can be tricky if your child can’t attend a school unless there is the assurance of financial aid. You can get an idea of the cost of attendance of a school by completing the Net Price Calculator on the Financial Aid section of the school’s website. If you still need more of an idea of what financial help may be offered, it’s best to explain this honestly to the coach and ask what he recommends. At some schools, you can contact the Financial Aid office and explain the situation. It’s best for the student to handle the vast majority of the communication with the coach and the school. However, contacting Financial Aid is one task that might be better done by the parent. Pre-Reads can be a useful tool when a swimmer is considering multiple schools and is unsure of his ability to gain admission or to afford the school. Again, though, they are very limited so only request this for schools at the top of your swimmer’s list – maybe the Top 3 schools. Michelle Lombana is committed to helping parents like her whose children want to swim in college. 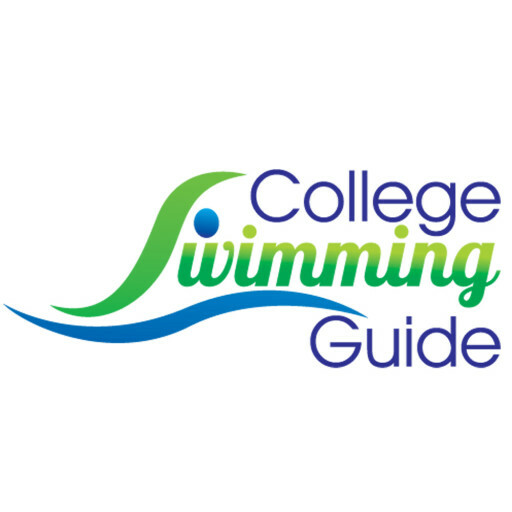 Membership in the College Swimming Guide Fast Lane guides you through the process with spreadsheets of times needed to score at Conference Championship Meets, Top Event Times at all college swim programs in the U.S., sample emails to coaches, and monthly action items. Michelle is available for private consulting for Fast Lane members as well.